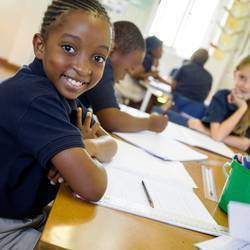 SPARK Schools is a network of independent primary schools, in Gauteng and the Western Cape, dedicated to delivering high quality education at an affordable price. SPARK Schools offers a uniquely individualised educational opportunity for students because of the focus on each student’s needs in the classroom and using technology-basedlearning. SPARK Schools have an extended school day that includes all academic classes, as well as daily sport and computer-based instruction in the innovative Learning Lab. The school day starts with Sparks Fly, an exciting and fun morning assembly, before students go to their classrooms and the Learning Lab. Aftercare, further enrichment and sport is available from 16h00 to 17h30 for those families that desire it. 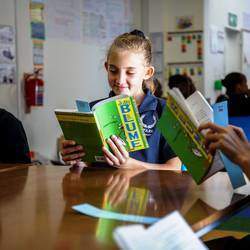 SPARK Schools individualises learning through our blended learning model, which combines teacher-led instruction and computer-based instruction in our Learning Lab. Our model is the first of its kind for primary school students in Africa. 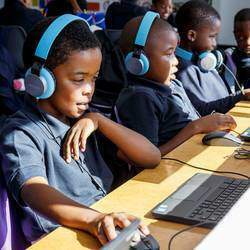 The software that SPARK scholars use is adaptive, allowing for highly individualised student practice and assessment. From the foundation phase, students rotate from classroom to classroom for subject-specific lessons, as in a traditional high school. This model allows our students to learn from teachers who specialise in a single subject and are extremely effective at customising lessons within that subject for students of all abilities. At SPARK Schools, we know that excellent education is as much about character development as academic achievement. To that end, SPARK Schools emphasise the core values of Service, Persistence, Achievement, Responsibility, and Kindness in the classroom, in the Learning Lab, during sport, on the playground, and in the community. Our SPARK scholars demonstrated remarkable academic results due to our blended learning model in the 2013 school year. In December 2013, our Grade 2 scholars had the opportunity to write the Grade 3 Annual National Assessment (ANA) in maths. Their average performance surpassed the national requirement for proficiency and surpassed the average for Grade 3 students across South Africa! SPARK Scholars are performing at least one year ahead of their peers. Enrol your child and join the SPARK family today! Our simple enrollment process makes it easy to secure a great education for your child. Choose the SPARK school closest to your home or work, and your child will benefit from the SPARK model wherever they attend. Spaces are available in Grades R, 1, 2, 3, 4, 5, 6, 7 and 8 for 2019, but these spots are going fast! Act now to ensure that your future SPARK scholar’s enrollment is confirmed for the upcoming school year. Inspire the greatness in your child! Enroll now for the school year beginning in January. Spaces are extremely limited, so we urge you to submit an application today. Click here to view our 21 school properties.